Asset allocation is the strategy of dividing an investment portfolio across various asset classes to maximize returns while minimizing risks. It is an organized and effective diversification method. What are the asset classes that comprise asset allocation? High-risk, high-return choices are better suited for investors who have a high risk tolerance, a longer time horizon to recover from losses, and larger sums to invest. It is this risk-return trade-off that makes asset allocation crucial. Since different asset classes have different risks and market fluctuations, proper asset allocation shields an investor’s entire portfolio from the ups and downs of a single asset class. What is the role of model portfolios in asset allocation? A moderately conservative portfolio is ideal for those who want to preserve a large portion of their portfolio’s total value but are willing to take on higher risk to get some inflation protection. A common strategy within this risk level is called “current income” wherein investors choose securities that pay a high level of dividends or coupon payments. A moderately aggressive portfolio, often referred to as a balanced portfolio, divides assets almost equally between fixed-income securities and equities to provide a balance between growth and income. This portfolio is best for investors with a time horizon of more than five years and a medium level of risk tolerance. An aggressive portfolio mainly consists of equities, so its value tends to fluctuate widely. The main goal of this portfolio is to obtain long-term growth of capital. As such, the strategy of this portfolio is often called a “capital growth” strategy. To provide some diversification, investors with this portfolio usually add some fixed-income securities. A very aggressive portfolio consists almost entirely of equities. Since this portfolio carries a considerable risk level, the value of the portfolio will vary widely in the short term. These proportions can, of course, be modified to suit investors’ individual needs. 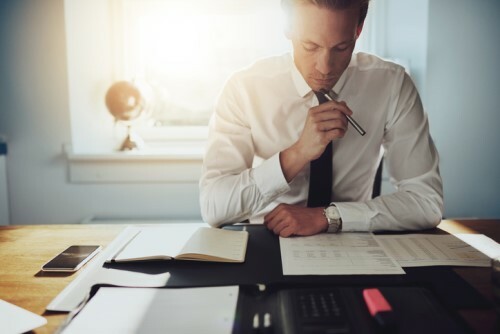 Once they have chosen their portfolio investment strategy, it is vital to conduct periodic portfolio reviews, as the value of various assets change. And if they want to reset their portfolio back to its original state, they would need to rebalance it. Rebalancing is the process of selling portions of an investor’s portfolio that have slightly declined or increased.